Non Fiction | New Zealand | History | History of St. John's College, Tamaki, Auckland, N. Z. 118 pp, illust. (b&w). Cocked, bumps to spine & corners, cloth discoloured in parts, 4 small ink stains on cover. Front free ep has been cut out, also top 2.5 cm of the half title. The cutting of the ffep has also left a slit in the half title. Sl. foxing and browning of pages. 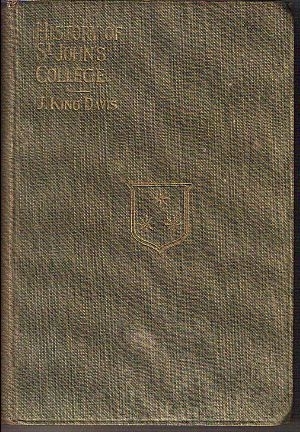 I am interested in History -History of St. John's College, Tamaki, Auckland, N. Z.